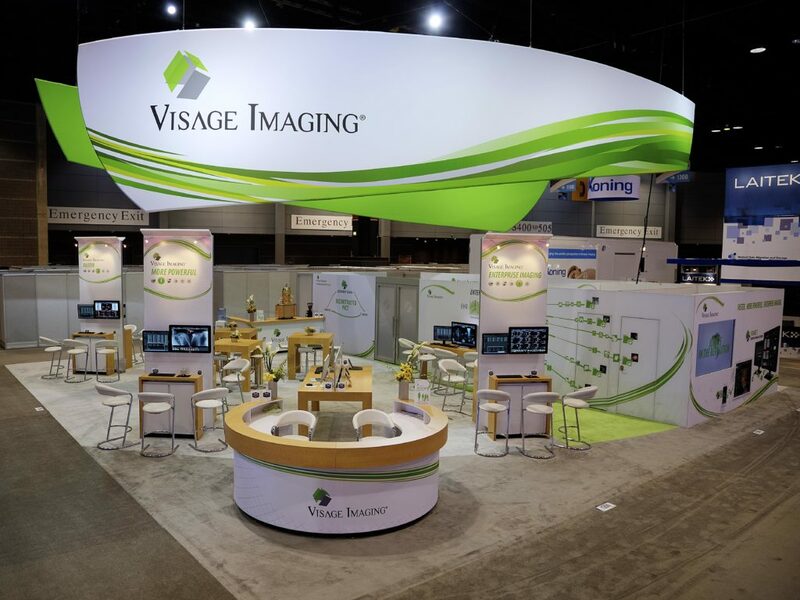 To all of our guests and global customers, thank you for making RSNA 2015 a phenomenal success for Visage Imaging! We enjoyed spending time with you, listening to your challenges and strategies for Enterprise Imaging. Many of you had an opportunity to experience the new Visage 7 Demonstration Theater, which provided a unique, distinctive Visage 7 experience. As has become a Visage tradition, we’ve crafted our “top five” observations coming out of RSNA. 1. Enterprise Imaging is being defined through action. As evident by the heavy traffic at the Visage booth from the world’s largest imaging organizations, interest in Deconstructed PACS strategies continues to peak. Furthermore, the Visage booth was adjacent to the IHE Image Sharing Demonstration Area where the “HIMSS/SIIM Enterprise Imaging Meet-up’ attracted a large crowd of attendees interested in Enterprise Imaging. One of the discussion questions posed to the meet-up participants was essentially, “What is Enterprise Imaging”? This generated significant discussion with numerous luminaries offering their perspective largely shaped by their experience and current initiatives. While it’s important for the industry to frame the general scope of Enterprise Imaging, the discussion and definition should not be restricted to specific vendor offerings and capabilities, product segments, image delivery or access mechanisms, deployment strategies, or to specific workflows. In fact, the industry is not waiting for a definition to be established, as the working definition of Enterprise Imaging is being established through the actual efforts of imaging organizations worldwide. In our experience, there is not a single blueprint for the Enterprise Imaging journey. Every imaging organization is different, at varying stages in their maturity, with different core IT systems, resources, and priorities. What matters most is the strategy that sets the course and the outcomes achieved along the way. Of course, choosing the right technology is integral to the successful realization of the strategy; with performance, functionality and integration being of utmost importance, superseding industry buzzword solutions that typically offer more bluster than actual capability. At our RSNA booth, Visage clearly reaffirmed that Enterprise Imaging is “diagnostic”, with Visage 7 providing a single viewing platform first and foremost for diagnostic interpretation, the same viewer for clinical access from the EHR, the same viewer for medical multimedia objects (non-radiology/cardiology images and non-DICOM), as well as the same platform for diagnostic and clinical mobile imaging access. 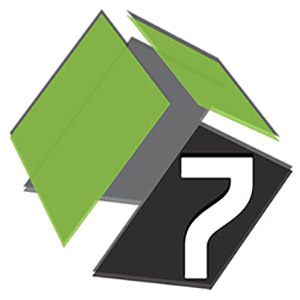 The simplicity and differentiated value afforded by Visage 7 continues to attract the interest of the world’s largest imaging organizations. Numerous institutions came through the Visage booth discussing their varied challenges. Some of their challenges were related to legacy solutions that had reached the end of the road, heterogeneous blends of technologies that were unable to be successfully integrated, workflow solutions that did not live up to the promise of flexibility, zero footprint viewers that lacked clinical functionality and adequate performance, etc. Additionally, we heard the repeated request to get more diagnostic viewer work products (e.g., images, labeling, measurements, charts) into the radiology report. Many of these concerns stem from the inherent need for tighter, more robust integration. Rather than just speaking to integration capabilities, Visage demonstrated bi-directional integration to four different solutions (available in the Visage booth, as well as at the following vendor booths): Medicalis (Medicalis Professional Enterprise Worklist), Montage Healthcare Solutions (MONTAGE Search and Analytics), Nuance (Powerscribe 360 | Reporting v3.5), and Primordial (Primordial workflow orchestration). 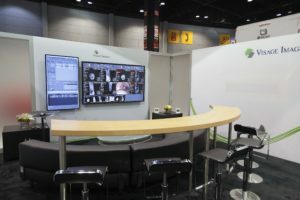 Additionally, for the second year in a row, Visage was the first to demonstrate enhanced multimedia reporting integration to Powerscribe 360. Visage currently supports the capture of relevant images, and as a work-in-progress, demonstrated the additional capture of image and series number labeling, with additional information to be made available in the future. Visage is incredibly proud of our integration efforts, and we will continue to work to refine the integrations which importantly enhance end user productivity, improve quality, and enhance the value referring physicians receive through multimedia reports. 3. Outpatient imaging organizations are feeling the pain of inadequacy. Multiple radiology groups and outpatient imaging organizations approached Visage with two pivotal problems – (1) They have outgrown legacy workflow approaches and in multiple cases, even newly implemented workflow solutions had not lived up to flexibility expectations, and (2) They are literally overwhelmed by the volume of their own data. Given the hybrid and distributed nature of many of the largest outpatient organizations that frequently own their own imaging centers, read for hospitals, read for other image generating institutions and in some cases provide PACS as a service to other groups, their workflow is incredibly complex. Rather than moving their radiologists to the images, and continuing swivel-chair workflow, organizations have sought to double-down with in-house/RIS or PACS-driven workflow, or choose new workflow platforms. Multiple groups also shared they are having buyer’s remorse with legacy PACS workflow solutions that have not met expectations, and are looking elsewhere for better solutions. Additionally, the ratcheting up of study size continues with HD MPEG4 videos, automated whole breast ultrasound, PET/MR and digital breast tomosynthesis (DBT). DBT in particular has caught fire as the latest breast imaging modality of choice. The problem is legacy PACS and outpatient networks are having tremendous challenges dealing with these large files. Many PACS cannot handle these large files at all, while others struggle through the data flow. On the receiving end of the problems are the reading radiologists who are forced to wait and have a lack of timely access to prior studies. With their backs against the wall, it truly appears that outpatient organizations are ready to make sweeping changes in order to get their heads above water. Treading water and drowning are not options, and for those organizations seeking to scale, they can’t move past these hurdles soon enough. 4. Mobile imaging solutions are required at full scale. To date, the vast majority of mobile imaging solutions available in the market have been offered as PACS add-ons. These adjunct solutions have largely supported isolated mobile workflows, for example, to provide mobile access for stroke studies, patients that present in the ED, intensive care patients, etc. The reality is that the adoption of mobile imaging solutions has been incredibly limited, with the vast majority of institutions not providing mobile imaging access at all. Some institutions have offered that they are still developing policies on mobile device use (BYOD), refining security protocols, etc. However, an underlying theme is that supporting add-on systems is incredibly difficult, particularly when backend sophistication and scale is not there with the mobile imaging solution to support the entire enterprise. 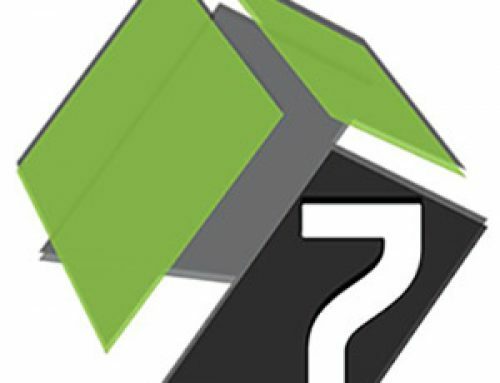 In contrast, mobile imaging support has always been a core capability of Visage 7. No separate servers, just a core capability that has the same massive scale as all Visage 7 supported workflows. In addition to supporting mobile diagnostic (Visage Ease Pro) and clinical use cases (Visage Ease), at RSNA 2015 Visage demonstrated work-in-progress Visage Ease features supporting Touch-ID authentication and barcode/wristband scanning. Note: Visage Ease is not a medical device and must not be used for diagnosis. 5. Analytics makes impressive inroads. 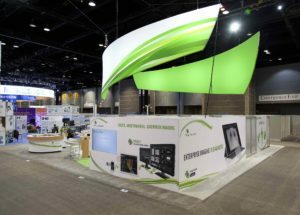 Reinforcing AuntMinnie.com’s “The Power of Analytics” (Top 5 trends from RSNA 2015 in Chicago), Visage also observed significant interest in business and imaging analytics this year. Visage demonstrated PACS Launch integration to MONTAGE Search and Analytics and gathered market feedback for future enhancements. In contrast to last RSNA where many imaging analytics vendors did nothing but discuss the potential of future solutions, this year many were presenting the actual results of their research to date, others had demonstrations/presentations of their solutions, and one vendor discussed their solution as already having the essential FDA 510(k). Existing customers also discussed research efforts into imaging analytics, which indicates that not only are vendors promoting their solutions, but providers are also actively involved in commercialization efforts. Imaging analytics just got real, which is exciting for all of us, as solutions providers seeking to provide greater value, and as patients seeking interpretations that help to reduce false positives and insight into the potential for future conditions before they manifest as disease.